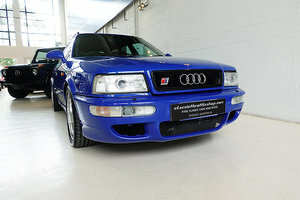 This is a low mileage cherished example that has been in the same family from new. Passed from uncle to nephew so only 2 owners in the log book. 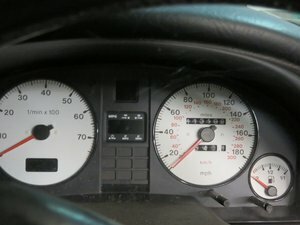 The car comes with a comprehensive Audi main dealer history and a file full of paperwork adding to the over all provenance of this totally original classic and showing that no expense has been spared on the maintenance and up keep over the years. Recently serviced including the all important timing belt. As you would expect the car is in immaculate condition inside and out. Paintwork is immaculate as are the wheels and interior. The car sounds fantastic and all 230bhp is on tap from this bullet proof 5 cylinder turbo. 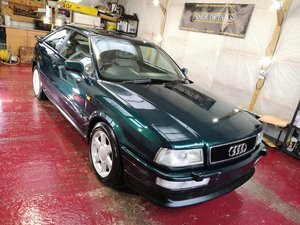 This is a very reluctant sale of what has to be one of the best examples of this appreciating classic in the country 93k miles. Viewing highly recommended.